Rent villas and apartments in Castelfranco Piandiscò, Italy with private pools. 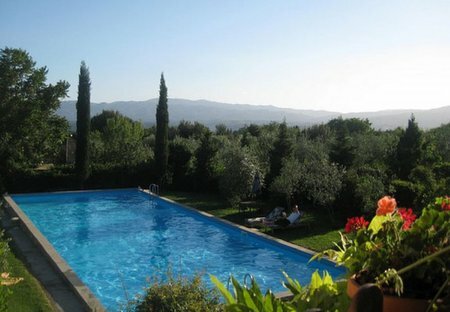 This 3 bedroom villa with private pool is located in Castelfranco Piandiscò and sleeps 6 people. It has a garden, barbeque facilities and parking nearby. 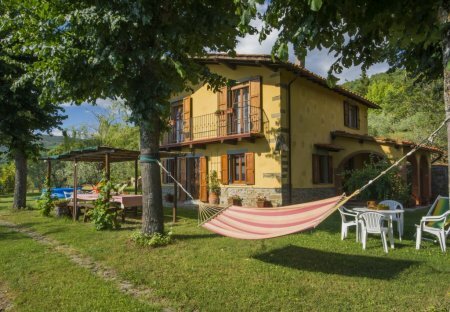 Independent farmhouse in Pian di Sco with 5 bedrooms and 3 bathrooms, panoramic position, large garden, pool, tennis court, barbecue, fireplace, TV, Wifi, Air-conditioned bedrooms, private chef. This 3 bedroom apartment with swimming pool is located in Castelfranco Piandiscò and sleeps 5 people. It has WiFi. This 2 bedroom apartment with swimming pool is located in Castelfranco Piandiscò and sleeps 3 people. It has WiFi. This 3 bedroom apartment with swimming pool is located in Casa Biondo and sleeps 6 people. It has WiFi. Charming Farmhouse for sole use furnished in rustic style. Pool, tennis court, garden, BBQ, Wifi, air-conditioned bedrooms, parking. Private chef and transfer service on demand. This 2 bedroom apartment is located in Castelfranco Piandiscò and sleeps 6 people. This 2 bedroom apartment with swimming pool is located in Casa Biondo and sleeps 4 people. It has WiFi. This 1 bedroom apartment is located in Castelfranco Piandiscò and sleeps 4 people. This 1 bedroom apartment with swimming pool is located in Castelfranco Piandiscò and sleeps 4 people. It has WiFi. This 2 bedroom apartment with swimming pool is located in Castelfranco Piandiscò and sleeps 6 people. It has WiFi, a garden and barbeque facilities.